The core of the group started in 2006, and includes 3 of the original group that performed at the SaskTel Sask Jazz Festival that year. 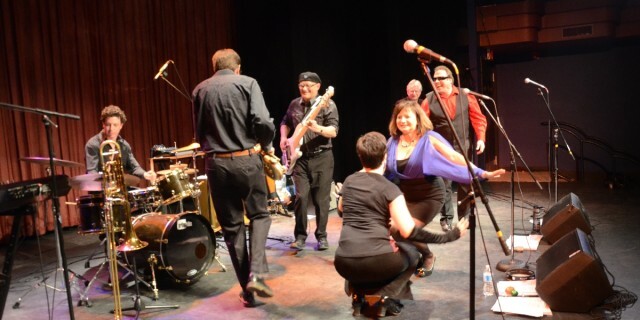 Throughout the years the group has seen a number of changes until in the summer of 2012, the group reorganized with the return of Gord MacAulay as the bandleader and bass player. 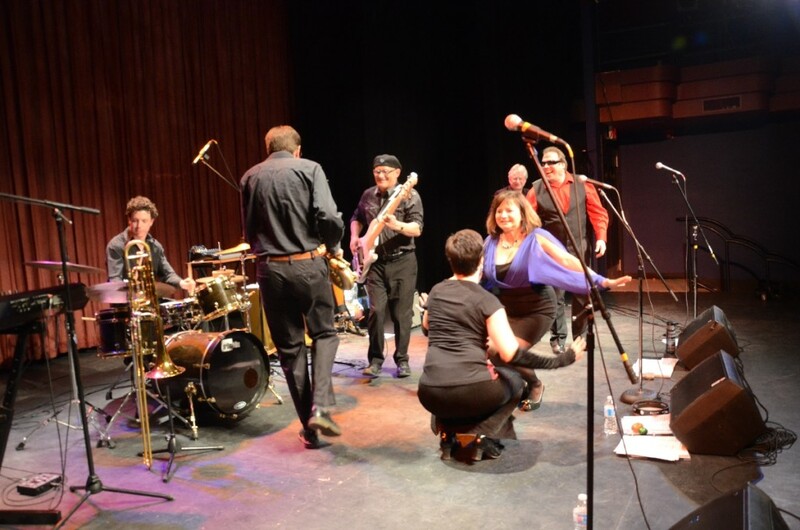 A new vision, and the best of the greatest R&B tunes and the new show was launched as Saskatoon’s Legendary Rhythm & Blues Revue. The group has attracted a strong following over the past year as the changeup to very versatile Darcy Greig as our lead vocalist has allowed us to do some material we have always wanted to play. Holly Stasiuk, “Little Miss Dynamite” has been a mainstay to the group since it origins from 2006, as has lead guitar player, Ed Bajak. Andrew Allsopp on Keys and Gordon Mosher previously has helped the band as stand ins but as of 2012, they became core to the group with Andrew taking the duties of Musical Director, and Gord Mosher’s role as “killer” sax player has now been expanded to leader of the “horn section”. The addition of Vocalist, Nancy Lautner this year, came with a very special bonus. She spent 12 years playing trombone in the horn section of the Stone Frigate Big Band.. and tah dah.. we have a horn section from time to time. The newest member of the band, is Brett Williams, you can’t just call him a drummer.. he’s a percussionist. We have developed a 75 minute after dinner show for corporate events, banquets and conventions that may be just the fresh entertainment package you are looking for your event. Funny thing, happens at these shows.. people don’t stay in their seats, something about the music. So, we are there for the after dinner show, we may as well stay and really get the party going as your guests with some dance sets as well.